No fee. Everyone pays their own lunch. 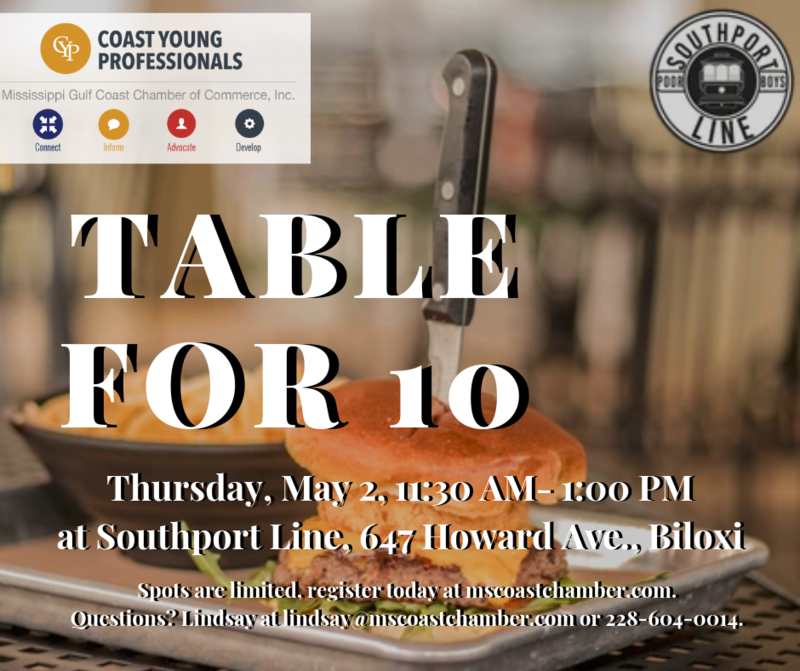 Join us for our Coast Young Professionals Table for 10 event with Southport Line, 647 Howard Ave., on Thursday, May 2, from 11:30 AM- 1:00 PM. This is a great chance to connect with some CYP members or learn about the organization if you are interested in becoming a member! There is no fee to register for the event, but it is only available for a maximum of 10 people. Everyone will be able to order anything they like and you can find the menu here. Everyone pays for their own lunch meal.